from that trip. All pictures here were taken with my handphone, the HTC One X. Enjoy! 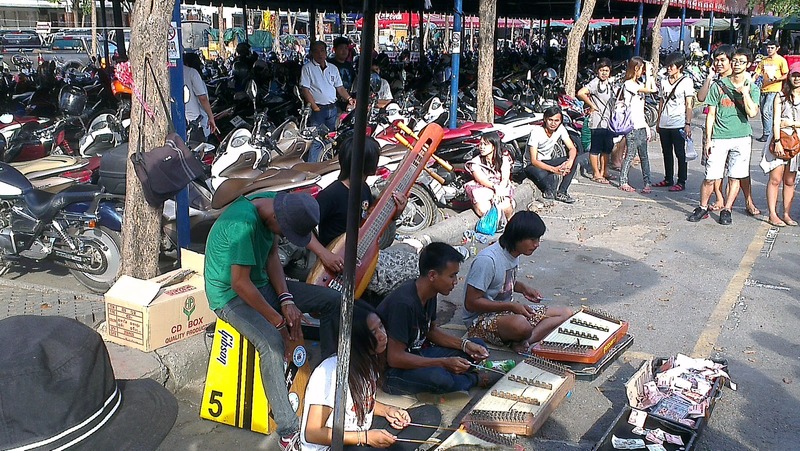 Street performances are quite common along the streets of Bangkok and more so at the weekend market at Chatuchak. Beware though, the market is one huge maze and with the scorching heat, you’re gonna need something to cool down! Street Food is Bangkok’s speciality. 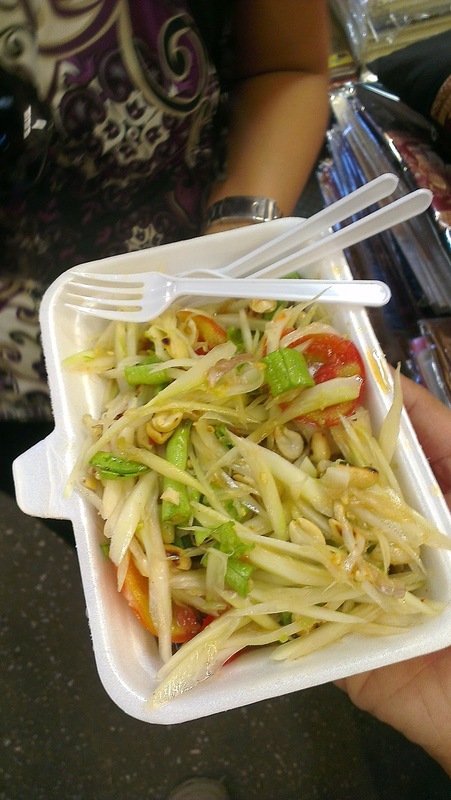 Raw papaya salad such as this one is simply delicious and best enjoyed from the street-side vendors. 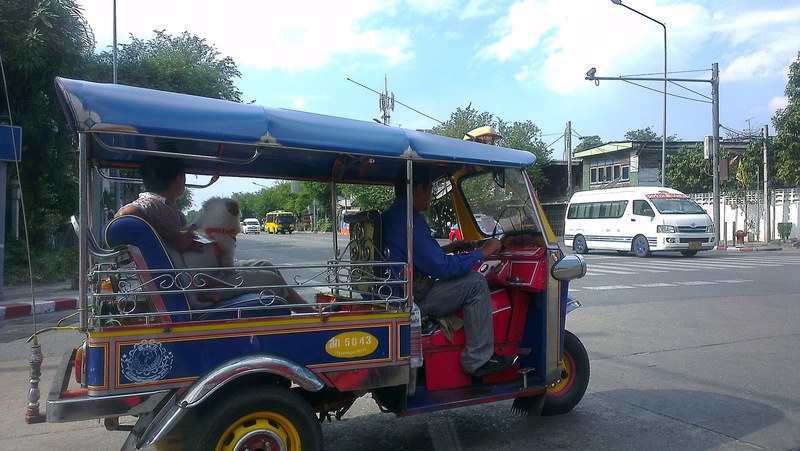 The ubiquitous public transportation mode, the Tuk-Tuk. Although we didn’t take a ride in one, it sure seemed like a fun way to move around the city. Another first for me. 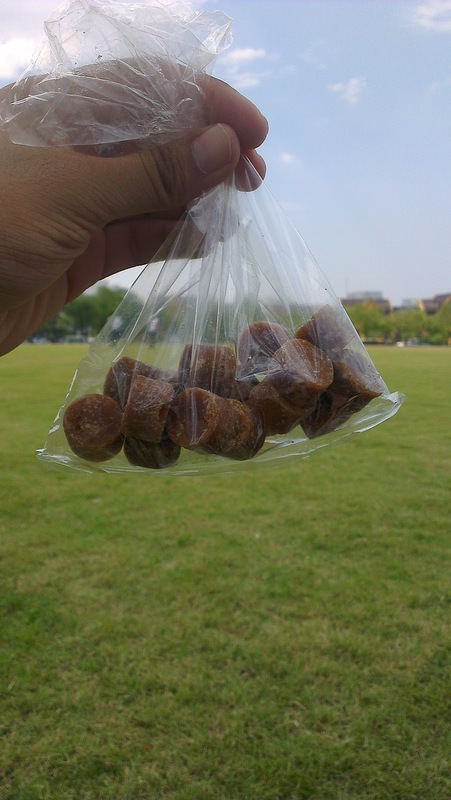 These small sweet treats are roasted pieces of jaggery sold by street- vendors as a quick perk-me-up snack. Trust me, they are delicious! 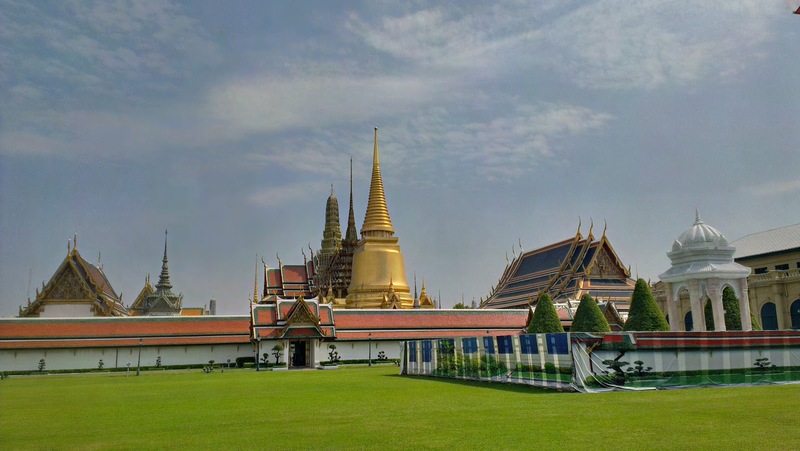 The Royal Palace. A tourist hotspot and a photographer’s paradise. Be sure to head here as early in the day as possible to avoid both the crowds and the heat. 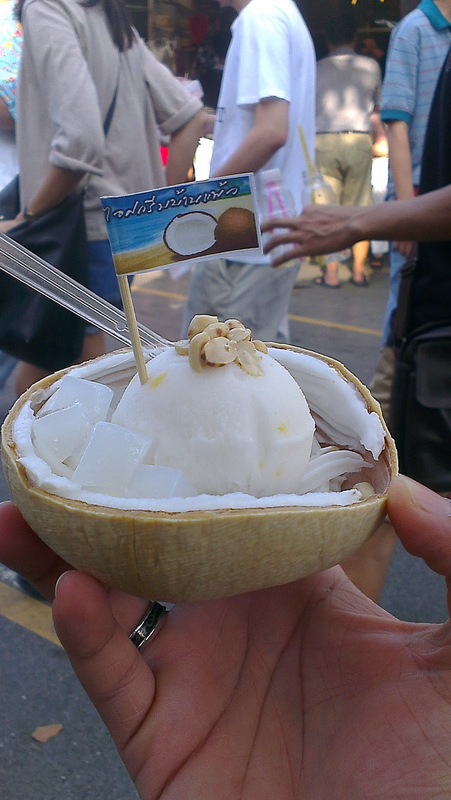 Another unique Thailand delicacy, the coconut flavoured ice-cream. A welcome treat on a hot sunny day. And the fact that it’s served in a hard coconut shell is simply cool! 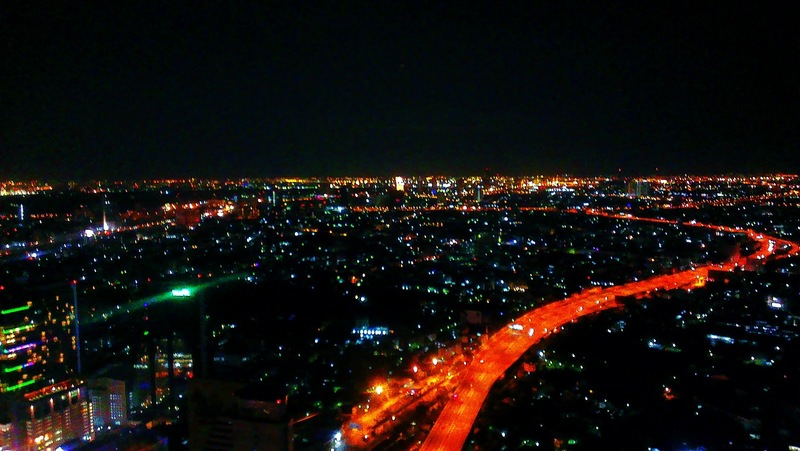 Bangkok by Night as seen from the Sky Bar at Lebua at The State Tower. The view is one of the many reasons patrons frequent the bar. They pack a mean Mojito as well! 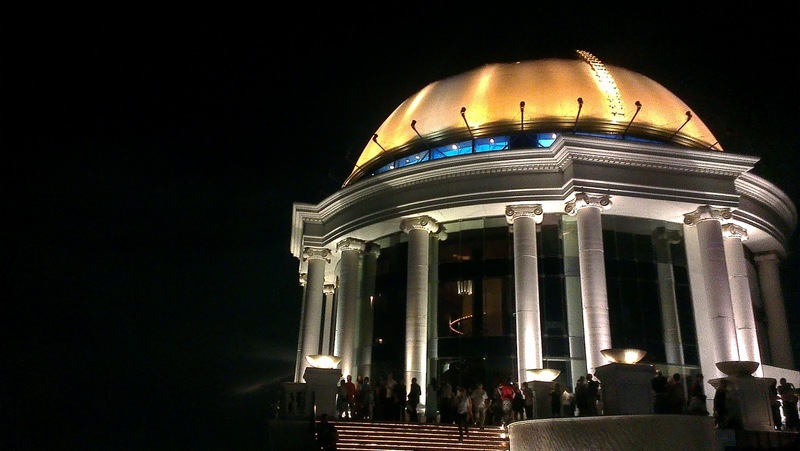 The Dome at Lebua. You may recognise the structure from the Hangover Part 2. 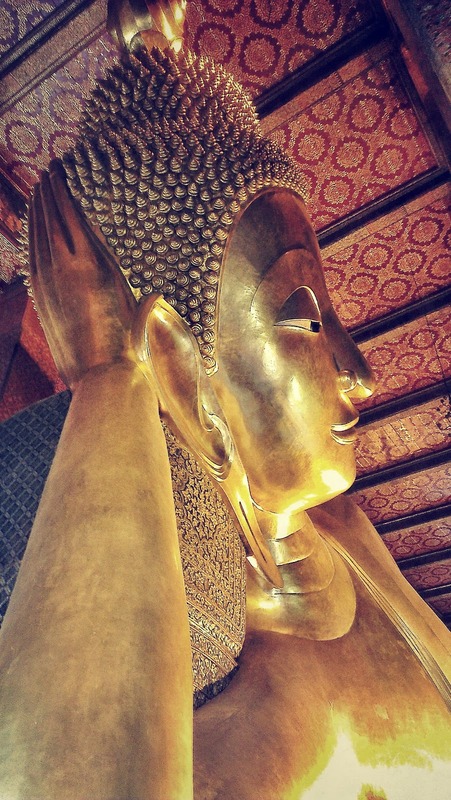 The famous roof top bar at the Lebua is definitely worth a visit even if you aren’t a photog. The views from here are simply breathtaking and best enjoyed with one of their famous cocktails. Pssst, try their Mojitos, they’re quite awesome! The Baiyoke Tower. The tallest structure in the city. The revolving observation deck on the top floor gives one of the best bird’s eye views of the metropolis. 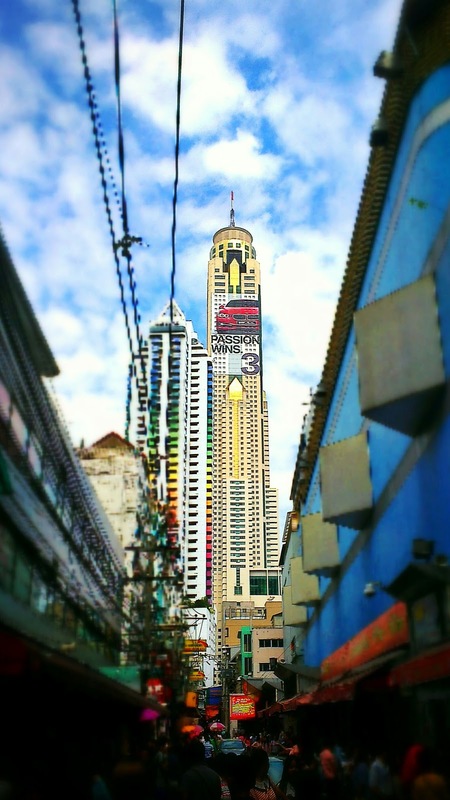 Baiyoke Hotel, the tallest structure in the city. 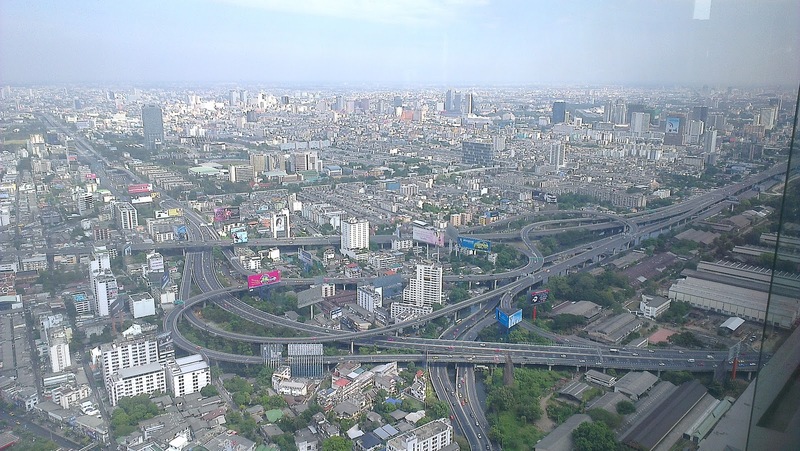 And here’s a video of the city view from the observation deck. 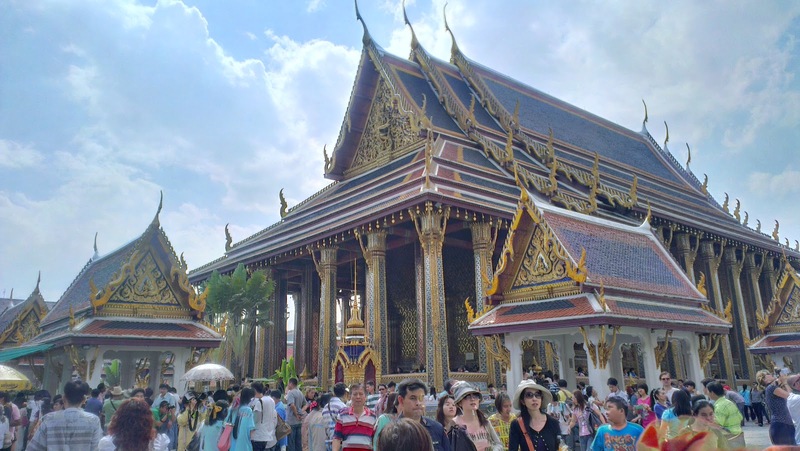 Bangkok was a brilliant destination and we hope to visit soon. Till then, we’ve got a lotta memories captured to help us revisit this beautiful city.